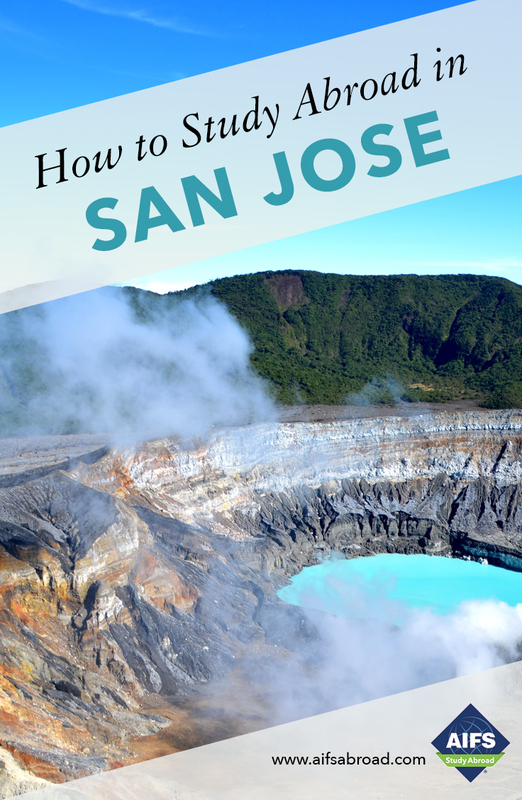 Included in your program fee is a range of activities which will take you outside San José and deepen your social, historical and cultural understanding of Costa Rica. Afternoon departure by bus to a small town called La Fortuna where the great Arenal Volcano is located. Once settled into the hotel visit the hot springs where you can bathe in the warm and naturally heated waters. Afterwards enjoy dinner with your friends and fellow students. On day two, enjoy the vista of Arenal Volcano and the wide variety of birds and mammals that take refuge in Arenal Lake as well as a hike down to La Fortuna Waterfall. Then travel by boat across Arenal Lake to the small town of Monteverde, a major ecotourism destination in Costa Rica. There you will have a delicious dinner. Finally, enjoy the flora and fauna and have a go at zip-lining through the trees of the stunning cloud forest. Includes accommodations, transportation, entrance fees, breakfast and dinner on the first night. Afternoon departure by bus to Manuel Antonio National Park, which has some of the most beautiful beaches on the Central Pacific coast. Once you have checked in to the hotel, head out with the group and enjoy live music and Latin dancing. After breakfast at the hotel, go on a hike to the national park where you will be able to sink your feet into the white sandy beaches, enjoy swimming in the warm water and explore the flora and fauna of the park which includes monkeys, sloths, raccoons and many species of exotic plants and flowers. On day three, enjoy the beach or the pool at the hotel before heading back to San José. Start the day with a visit to a coffee plantation. After learning about the history of coffee you will learn how coffee is farmed and harvested prior to the milling and roasting process which is sustainable and certified, ensuring that the coffee is produced in harmony with the environment in a socially responsible way. You will witness the transformation of the coffee cherry into a ready to roast bean and sample different types and qualities of coffee. Later visit La Marta Wildlife Refuge which borders La Amistad International Park to the south, and the Tapanti-Macizo de la Muerte National Park to the southeast. With about 60% of its territory devoted to primary forest, it is the first private wildlife refuge in the country. There are 17kms of trails that cross the forest and take the visitor to lookout points and ponds. You will have a chance to swim in the natural pools, view the waterfalls and be amazed at the array of flora and fauna including mammals such as anteaters, kinkajou and if you are very lucky wild cats. Fee includes transportation, entrance fees, lunch and a local guide. Leave San José early on Saturday morning for Sarapiquí. Afternoon guided hike through the rainforest to a cacao growing area. The artisanal process by which cacao fruit is transformed into chocolate will be demonstrated followed by the opportunity to taste many different varieties in the traditional way. After dinner there will be a night hike with a local naturalist. At night a whole new world awakens and with the help of our expert guides you will explore the nocturnal wildlife including tree frogs, kinkajous and bats. On Sunday morning take a rafting trip down the Sarapiquí River before heading back to the lodge for lunch and an evening return to San José. Fee includes accommodation, transportation, activities, dinner on the 1st night and breakfast and lunch on day 2. If a minimum enrollment of 10 students is not met the excursion may be cancelled. Friday morning departure for Bocas del Toro (known colloquially as Boca Town), a community on the Caribbean coast known for its colorful clapboard houses and friendly and relaxed atmosphere. It’s a great place to explore the region’s beautiful beaches and opportunities for snorkeling, or to just slow down and soak up the Caribbean vibes. Upon arrival, you will check into the hotel and then enjoy dinner together. On Saturday, you will be exploring such areas as Bahía Delfines, a lagoon that hosts bottlenose dolphins for most of the year, and Isla Pájaros, a famous tropical bird sanctuary with a large number of native and migratory birds that nest on the island, and the only place in Panama to see the red-billed chub, famous for its long tailfeathers. You will then have time to relax at Playa las Estrellas, a white sand beach with beautiful, clear waters that gives visitors the chance to swim among the many starfish that call the area home. At Cayo Coral, you will have lunch and be able to snorkel in the calm, clear waters, and to see the beautiful coral reefs, which can only be reached by boat. The group will then return to the hotel to enjoy dinner together. On Sunday, you will start your day at Cayo Zapatilla. At this national park, you can snorkel in the turquoise Caribbean Sea and relax on the golden sands of one of the archipelago’s most beautiful beaches. After that, the group will have lunch at Playa Red Frog and spend time on the white sand beach, which is completely surrounded by rainforest. If you look closely, you may be able to spot one of the rare and beautiful red poisonous frogs, for which the beach is named. The day ends with a group dinner at the hotel. On Monday, you will tour Canenero Island, one of the best surf spots in the area, before having lunch at the hotel and heading back to San Jose. Fee includes transportation, accommodations, breakfasts, all visits and tours and the services of a local guide. A minimum enrollment of 10 students is required for the excursion to run.